Japanese literature and film have frequently been approached using lenses such as language, genre and ideology. Yet, despite a succession of major social traumas that have marked, and in many ways shaped and defined much of modern Japan, Japanese fiction and cinema have not often been examined psychoanalytically. In this book, David Stahl conducts in-depth readings and interpretations of a set of Japanese novels and film. 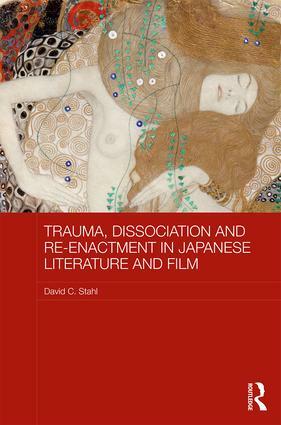 By introducing the methodology of trauma/PTSD studies, Stahl seeks to provide a better understanding of the insights of Japanese writers and directors into their societies, cultures and histories. In particular, by building on the work of practitioner-theoreticians, such as Pierre Janet and Judith Herman, Stahl analyses a number of key texts, including Kawabata Yasunari’s Sleeping Beauties (1961), Enchi Fumiko’s Female Masks (1958) and Imamura Sho- hei’s Vengeance is Mine (1979). Consequently, through using concepts of social trauma, dissociation, failed mourning, revenge and narrative memory, this book sheds new light on the psychological aftereffects and transgenerational legacies of trauma depicted in Japanese works. "I believe that Stahl has chosen texts of the highest artistic value for his analysis. Each text displays an inimitably masterful stylistic formation as well as psychological and narrative depths that could puzzle the most experienced readers. What is more, these texts unflinchingly depict the numbing sense of immorality the main characters exhibit." David C. Stahl is Professor of Japanese Literature and Cinema at Binghamton University. His research interests are trauma/PTSD studies and artistic representation of social trauma and its aftereffects.